Many countries and development organizations create their own strategies to improve the health-care system. Mercy Ships seeks to collaborate and align programmatic activities with these existing efforts. As a result, Mercy Ships becomes part of a broader approach for systemic development. On the national level, Mercy Ships focuses this approach on particular medical facilities located in the partner country. As a hospital ship that provides a model example of a Western/African hospital, the organization is well suited to help boost the capacity at strategic local facilities. Mercy Ships collaborates with the government and other partners to identify which hospitals have the greatest need, will benefit from development efforts and align with existing strategic plans for health system improvement. By focusing on strategic medical facilities, the organization is able to concentrate and coordinate capacity-building efforts during the country engagement. 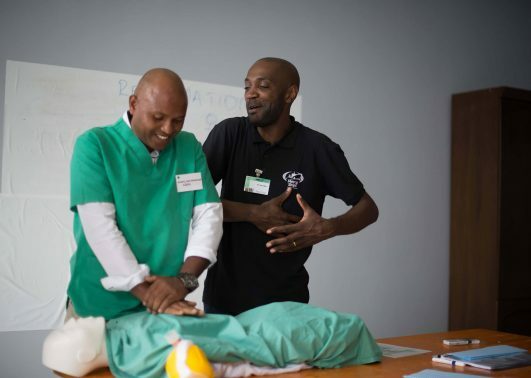 Mercy Ships healthcare training programs aim to enhance the standards of care within the surgical ecosystem in partner hospitals or other healthcare institutions. With this objective in mind, the organization has developed practical and relevant healthcare training projects that demonstrate and impart knowledge, skills, and a compassionate, professional attitude to each participant. These training opportunities include structured observation, courses, and mentoring. Structured observation sessions allow local healthcare professionals to experience a high quality, patient-oriented hospital on the Africa Mercy with the hope they will be inspired by the high standards of care observed. Courses teach specific skills and information on improving standards of care and personal medical practice. 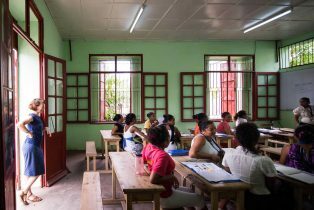 Mercy Ships courses utilize a combination of lectures, simulations, and workshops, often in partnership with other internationally renowned organizations. Mentoring projects encourage a personal relationship and trust between the project facilitator and participant, leading to targeted, in-depth clinical teaching for individuals. When possible, Mercy Ships offers a combination of mentoring and courses to various healthcare workers in a particular hospital or specialty unit (for example maxillofacial surgeon, anesthesia provider, OR and ward nurses), creating a Partnership Unit Mentoring Program (PUMP). PUMPs encourage even greater degrees of teamwork, communication and attention to process measures, which improve standards of care and patient safety. Mercy Ships, an international faith-based organization, has a mission to increase access to healthcare throughout the world through the deployment of the world’s largest, private hospital ship, the Africa Mercy. Mercy Ships works with host nations to strengthen the local healthcare system, while serving the dire and immediate needs of the host country. 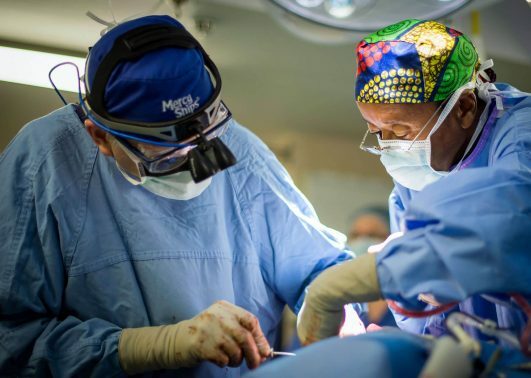 Mercy Ships provides a variety of training opportunities for medical professionals (surgeons, nurses, anesthesia providers, administrators and other healthcare workers), along with curative surgical interventions. 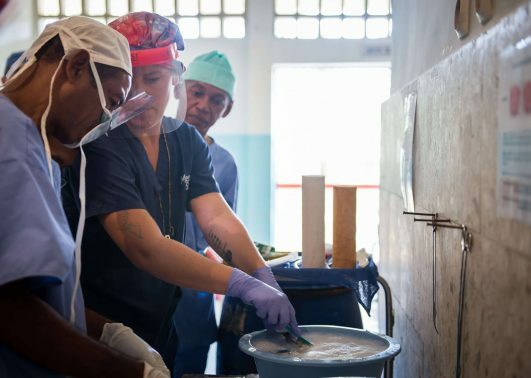 Collaborating with qualified local and international partners, Mercy Ships programs offer holistic support to developing countries striving to make healthcare accessible for all.